College volleyball camps are a great way to improve your game and get evaluated by coaches. To help you find the right camp, NCSA has compiled a definitive list of every 2019 college volleyball camp in the country. This list of nearly 2,300 camps. This list of nearly 2,300 camps includes the date, state, division level, camp type, age/grade level and cost. Which volleyball camp should you attend? With thousands of college volleyball camps across the country, which camp is worth your time and money? First, consider camps at schools you’re interested in attending. These camps are an opportunity for you to connect with the coach and get a better feel for campus life. In addition, it is common for D2, D3 and NAIA coaches to volunteer at major D1 camps. If you are interested in a specific program, these large camps can be an opportunity to get in front of the coach. What are the three main types of volleyball camps? Prospect/ID camps: Prospect/ID camps typically feature about 25 percent training and 75 percent evaluation. In most cases, only the host school’s coaches and players will be in attendance to lead drills and evaluate recruits. If you’re already on a coach’s radar, attending a prospect or ID camp can be key for your recruiting progress. Position-specific camps: These camps focus on developing skills for your particular position. They typically feature about 75 percent training and 25 percent evaluation. Whether you’re a libero or an outside hitter, position-specific camps offer in-depth training. Coaches from several schools will likely be in attendance to lead drills and instructional sessions. Skills camps and team camps: Like position-specific camps, volleyball skills camps and team camps typically feature a greater emphasis on training than on evaluation. They are usually geared toward younger athletes and offer campers a chance to improve their skills and have fun. Coaches from several schools often attend these camps to instruct campers and get a closer look at prospects already on their recruiting board. How should you prepare for a college volleyball camp? During volleyball camps, you can expect to receive instruction from coaches and college athletes. You’ll participate in drills to sharpen your skills and positioning. Many volleyball camps also include tournament play and personal evaluations. Keep in mind that coaches will be evaluating more than your athletic ability—they’ll also be evaluating your character. Coaches want to see how you compete against top competition and how you respond to success and failure. They’ll be analyzing your teamwork and body language during drills and scrimmages. It’s not just about your skills—coaches are looking for volleyball players who can fit into their team. Once you register for a college volleyball camp, reach out to the coach to let them know. Tell them your schedule and which court you’ll be on to help them find you during the camp. Also include your highlight video, verified measurables, academic info and social media handles. Keep it short and sweet! Ride the momentum of your 2019 college volleyball camp. After the camp ends and you go home, follow up with the coach and send over any new verified stats. Thank them for the opportunity and ask for feedback on which skills you need to improve. Keep the conversation going by letting them know about your athletic progress and any upcoming volleyball tournaments or showcases. 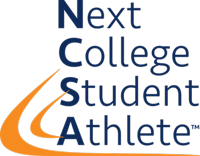 NCSA is the world's largest and most successful collegiate athletic recruiting network. A wholly owned subsidiary of Reigning Champs LLC, NCSA's 700 teammates leverage exclusive data, proprietary matching algorithms and personal relationships built over nearly two decades as the industry leader to connect tens of thousands of college-bound student-athletes to more than 35,000 college coaches nationwide across 34 sports every year.